Beautiful natural wood legs made from the United States Northeast Maple wood. 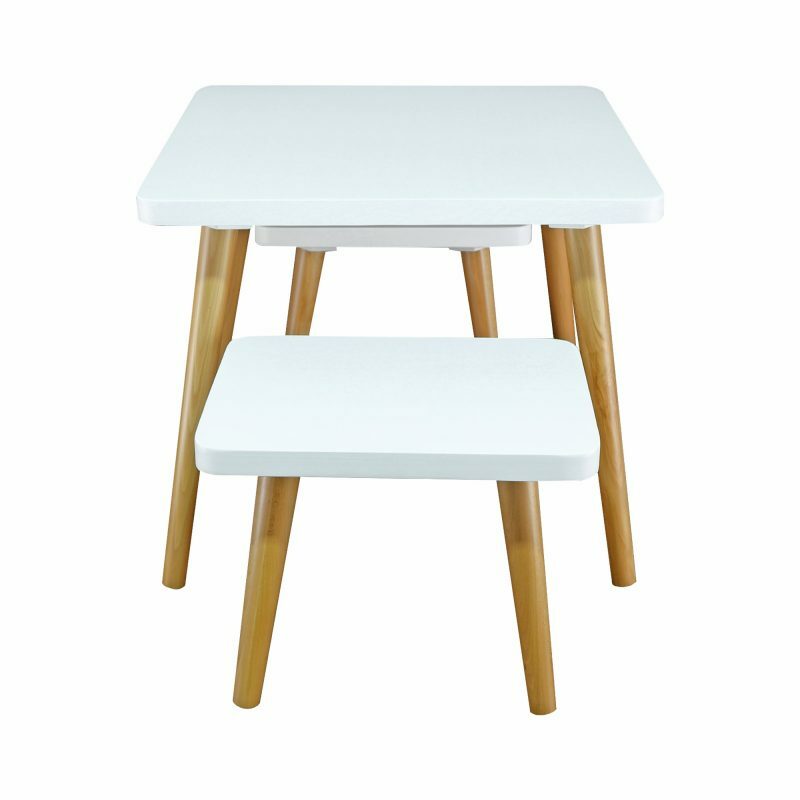 The Easel Kids Table & Chair set add the perfect touch of class and balance to your kids rooms. 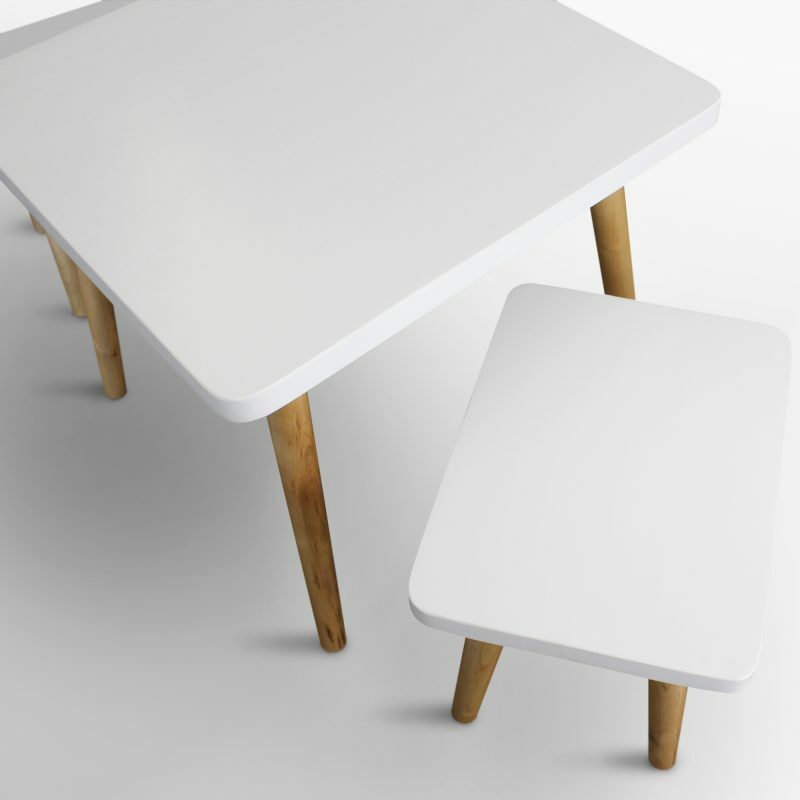 The chairs are designed to neatly fit under the table to save space when not in use. Attractive two tone design highlights American Maple natural wood grains. This three-piece is the perfect spot for every little one. Ideal for those who find value in the beauty of nature and love a vibrant home. 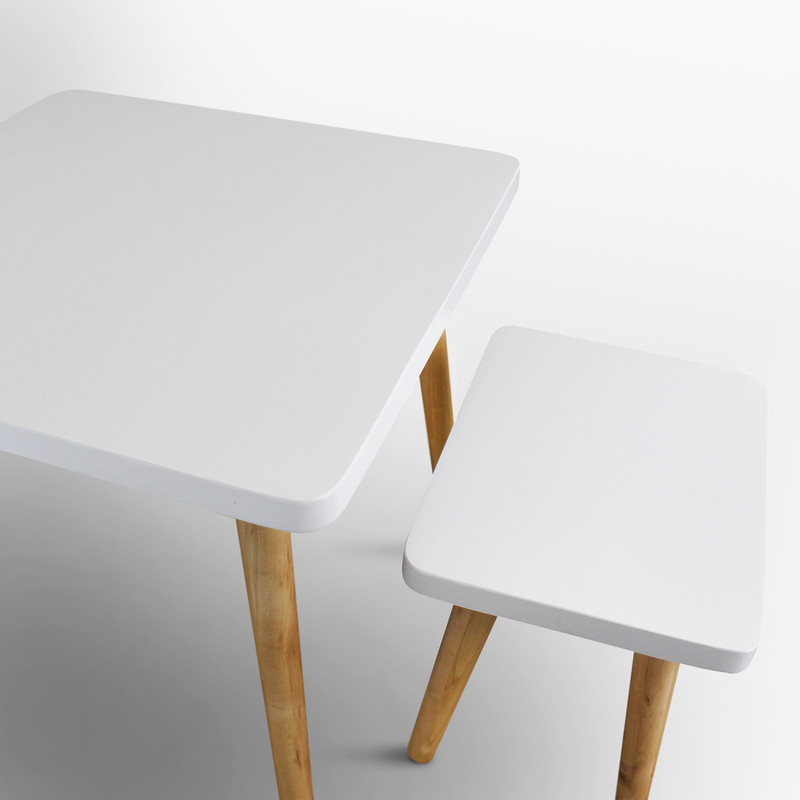 Easy assembly – simply screw legs to table top with no tools required. 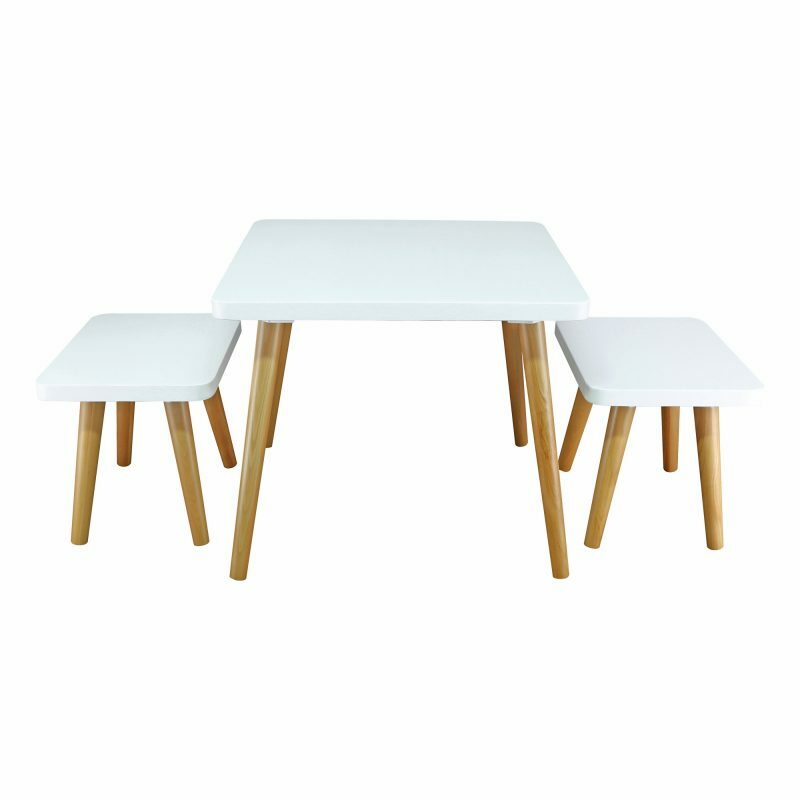 Set includes table and two chairs. The chairs are designed to neatly fit under the table to save space when not in use. 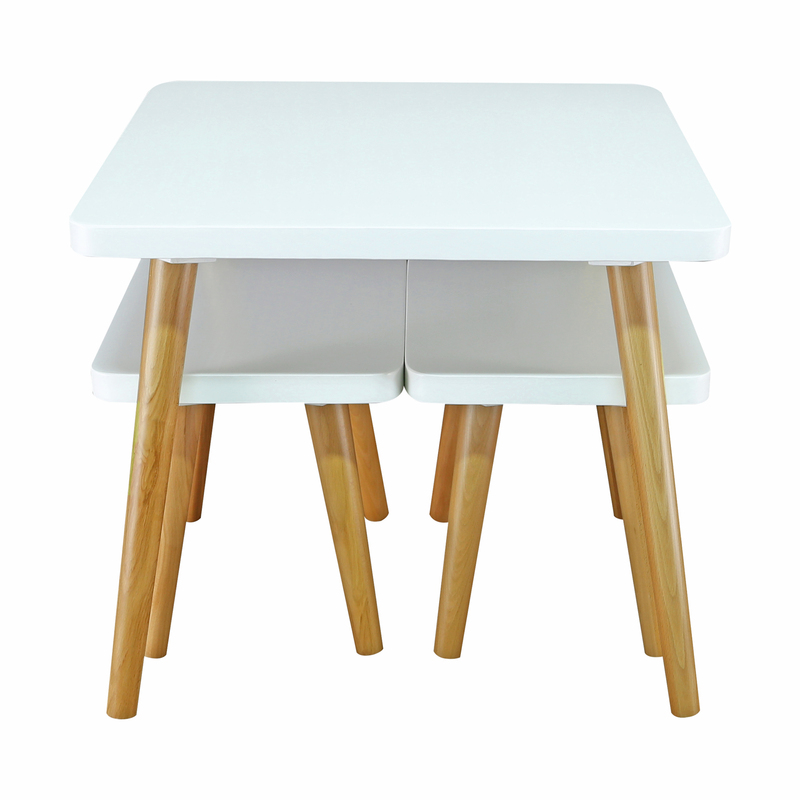 Crisp two-tone design accentuates American Maple legs. Desk dimension: 23.5″W x 23.5″D x 20″H. 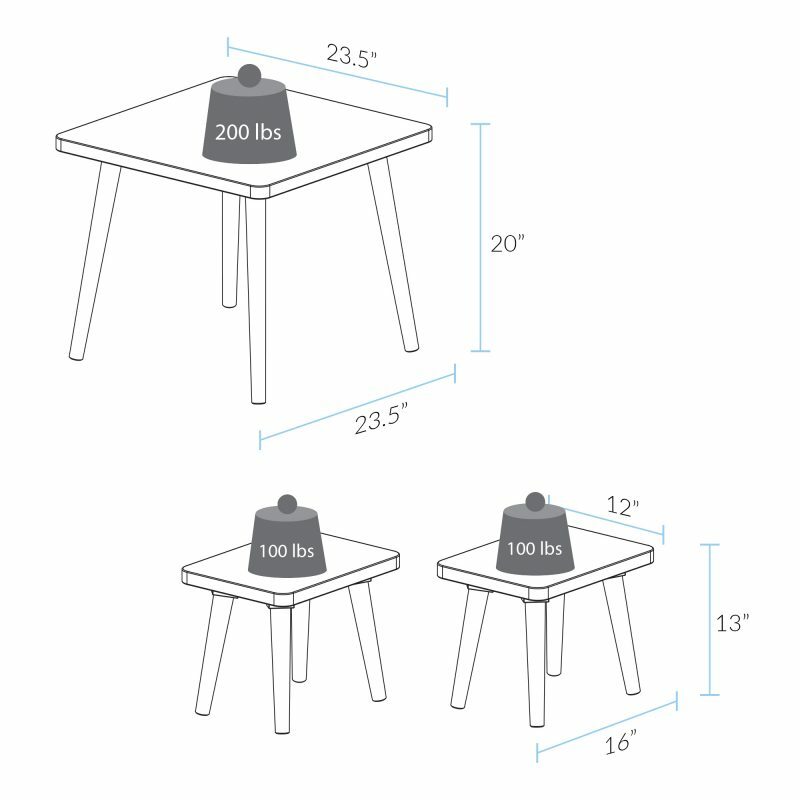 Chair dimension: 16″W x 12″D x 13″H. Solid American Maple and solid wood construction ensure a sturdy construction and years of lasting beauty that can withstand everyday use. 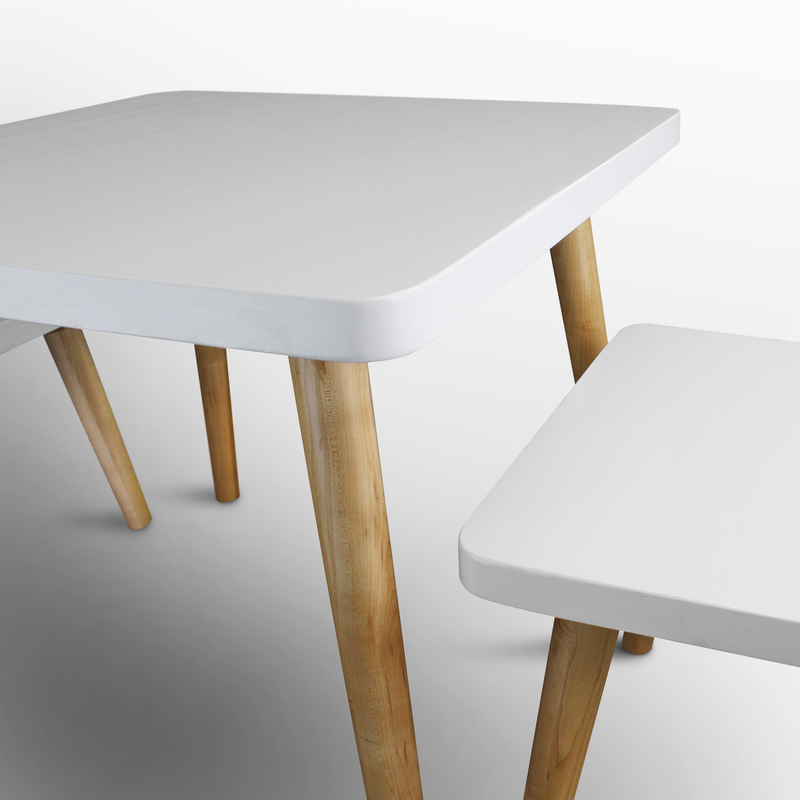 Simply twist to attach the legs with no screws required. Chair (16″W x 12″D x 13″H). Weight: 26.5 lb.